Bundown co-founder Lucious Frazer returns with first live billing in two years. 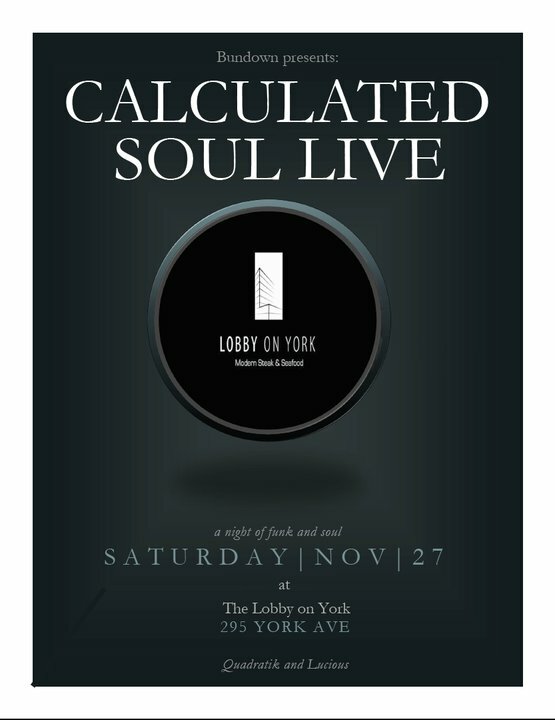 Lucious will be joining Quadratik for the live reincarnation of Q’s Calculated Soul mix series this Saturday at Lobby on York. It’s good to see him back on the hustle and what better way to make his live debut than Calculated Soul Live!